Binance Review and Full Guide - What is it? 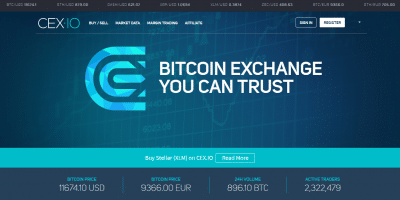 There are many different exchange platforms to choose from in the cryptocurrency market. With so many options, selecting the right exchange can be a time-consuming process for new investors and advanced traders alike. In this article, we’ll take a look at Binance, a highly popular cryptocurrency exchange that has recently taken over to become the number one exchange by volume. We’ll assess the features offered by Binance, it’s security history, ease of use, and fees, as well as break down the basic steps involved with setting up a Binance account and getting started. Binance is one of the most popular exchanges in the world and has maintained a strong position in the top five largest exchanges by volume since launching in July 2017. Binance is a unique platform in the cryptocurrency ecosystem— rather than relying on traditional venture capital, Binance was launched off the back of funding generated through a highly successful initial coin offering. Changpeng Zhao, the founder and CEO of Binance, boasts extensive experience with Wall Street software trading system architecture development and is a serial Bitcoin entrepreneur in the Chinese crypto market. Zhao launched the Binance ICO website in the beginning of July 2013, publishing a white paper that can be viewed here. The Binance Coin crowdsale, which made 100 million ERC20 tokens called BNB available for purchase to investors, sold out in just three minutes on July 3rd— generating $15 million USD equivalent in cryptocurrency. The Binance platform subsequently went live 11 days later on the 14th of July and experienced a massive surge in users. Binance is now valued at close to $2 billion and is now so popular that the platform has recently had to place a short-term halt on new account creation due to a massive influx of 240,000 new accounts created hourly. While account generation is now re-enabled, Binance accounts were selling for as much as $8,000 USD during the halt. As a pure cryptocurrency exchange, Binance doesn’t offer fiat/crypto trading pairs. It offers an extremely broad range of altcoins and has generated a reputation for being the first platform to list promising new initial coin offerings. 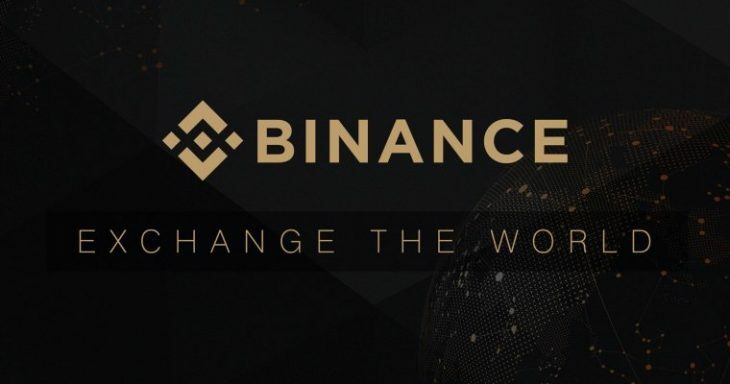 Binance offers language support in English, Chinese, Korean, Spanish, Japanese, Russian, and French, but the primary reason for Binance’s high popularity is the low fees the platform offers. 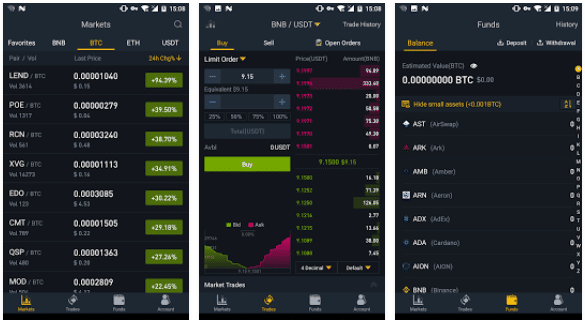 Users are able to switch between simple and advanced trading modes, access a broad spectrum of trading tools, and even trade via smartphone with the Binance app. Now that Binance has reopened its doors to new signups (click here to join), the registration process is relatively simple. In order to get started with Binance, you’ll need to verify your email account via a confirmation email and then enable two-factor authentication, which is easily done via Google Authenticator. The Binance Google Authenticator setup process is relatively simple and once complete you’ll be able to get started with a basic Level 1 account. Level 1 accounts are restricted to a 2 Bitcoin or equivalent daily withdrawal limit, but it’s possible to increase this limit to 50 Bitcoin by verifying your identity with a Level 2 account. 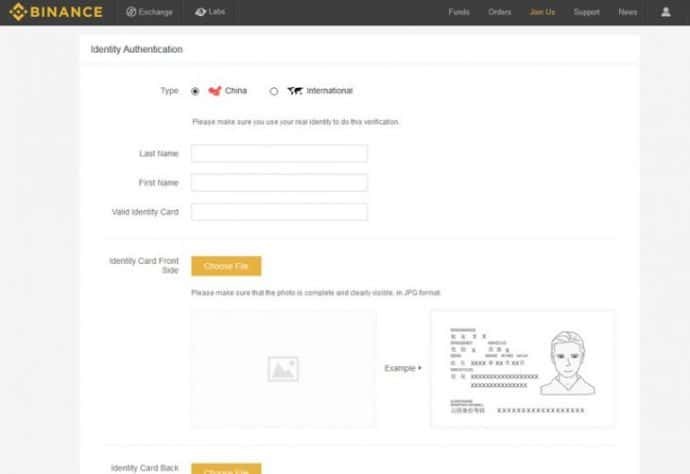 Binance Level 2 account verification requires government-issued photo identification, such as a driver’s license or a passport, as well as an active mobile phone number. More information on Binance’s KYC requirements can be found here. As Binance is experiencing a high influx of new users, Binance verification time can take up to one week. Binance is a cryptocurrency-only exchange, which means it’s not possible to deposit fiat currency. Binance provides users with a “hot wallet”, a hosted cryptocurrency wallet that is used to hold capital that users intend to trade. Depositing or withdrawing cryptocurrency with Binance is as simple as any everyday cryptocurrency transaction. Note that it’s best to hold the majority of your crypto capital in a secure hardware wallet and only transfer it into a hosted wallet when trading. Binance offers one of the most competitive fee structures in the market. Deposits are free, while withdrawals are subject to a variable fee that is dependent on blockchain conditions. A full list of minimum withdrawal amounts and withdrawal fees for each token Binance supports can be found here. 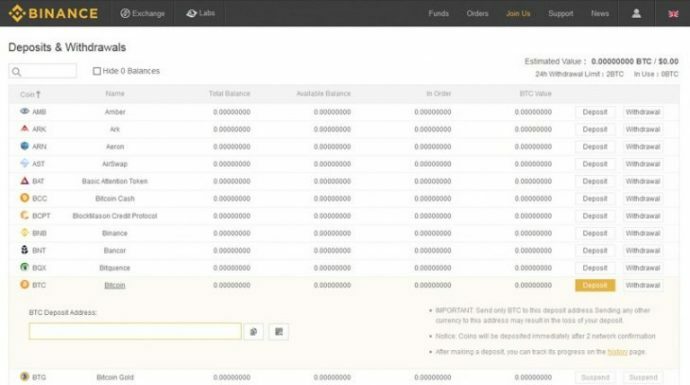 All trades on Binance are subject to a 0.1% trading fee. Individuals that participated in the Binance ICO and possess Binance Coins (BNB) are able to use these tokens to pay for trading fees with a significant discount. During the first year of Binance operation, this discount is set at 50% but will halve each subsequent year until the fifth year of Binance operation at which point no discount will be offered. As Binance is a relatively new addition to the cryptocurrency exchange roster, many traders are asking: is Binance safe? The Binance FAQ doesn’t provide a significant amount of information on the specific security architecture used by the platform but does provide users with simple, easy to understand guides on how to secure their accounts. To date, Binance has experienced no security breaches or hacks, but does state that it is “engineered from the ground up with security, efficiency, speed and scalability taken into utmost consideration”. James Hofbauer, the chief architect of the platform, boasts extensive experience in high-level systems security and is supported by Roger Wang of security-centric cloud hosting platform Bijietech. One of the biggest features of Binance is the high-performance capacity it offers— the exchange is capable of processing up to 1.4 million orders per second. Binance also often features promotions, giveaways, and competitions, as well as attractive bounty and reward programs. The Binance App is available for both iOS and Android and offers all of the same tools presented by the web UI. It’s also possible to bind Google Authenticator to the app, streamlining transaction security. Binance Labs is Binance’s blockchain tech incubator, which focuses on assisting startups in accessing funding, resources, and advise, as well as listing promising ICOs. Projects that are currently active through Binance Labs can be viewed on the Binance Launchpad. Binance supports all of the major high market cap cryptos such as Bitcoin, Ethereum, Stellar, Litecoin, and Ripple, as well as a truly massive list of altcoins. 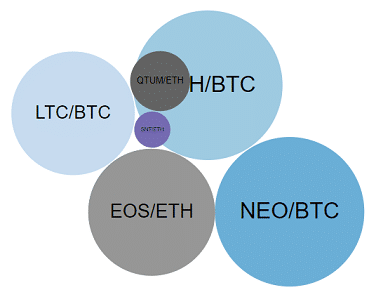 Binance is particularly strong with trading pairs such as GAS/BTC, BNB/BTC, ETH/BTC, and NEO/BTC. A full list of coins listed on Binance can be viewed via CoinMarketCap. Binance offers one of the best customer support teams in the market and operates a ticketing system via an online form. At this point in time, there is no live chat option or phone support for Binance users. Binance is highly active on the Binance subreddit, however, and provides in-depth answers to community questions posted there. While official office addresses are obscured for security purposes, Binance’s social media engagement team were swift to explain that while the platform is based in Tokyo and Shanghai, Binance is registered in the British Virgin Islands and several other locations, making it immune to regulatory impact. Binance is geared toward intermediate and professional traders, and as such is not the ideal exchange for beginner investors. Users are provided with the option to switch between either a basic or advanced view when trading. The primary difference between these two views is that the advanced view provides more in-depth technical analysis functionality. Advanced view users are able to chart a broad spectrum of patterns and access more complex trading views. 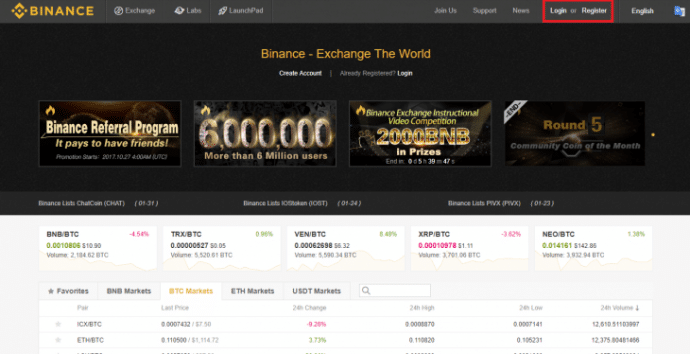 There have been many instances of hackers and fraudsters creating fake versions of the Binance website in attempts to trick unsuspecting investors into revealing their login information. Click here to get started with creating a Binance account via the Binance website. You’ll need to provide Binance with an email address and create a password between 6 and 20 characters in length. It’s best to use an extremely strong password for any online cryptocurrency activity. Sites like Secure Password Generator make creating a highly secure password simple. After submitting your details, you will receive a confirmation email from Binance. Click the verification link in the email and you’ll be able to move on to the next step! Two-factor authentication is an extremely important security element offered by Binance and many other exchanges. This feature adds another verification step required before functions such as login or withdraws can be performed. Binance will then provide you with a QR code that you will need to scan with the Google Authenticator app using your smartphone camera. You’ll also be provided with a backup key— Binance provides a handy guide on how to do this here. From now on, whenever you log in or perform other actions such as withdrawals, Binance will ask you to scan a QR code with your Google Authenticator app and provide the 6-digit 2FA code that is subsequently generated. It’s possible to use Binance without verifying your identity, but in order to increase your daily withdrawal limit from 2 Bitcoin to 50 Bitcoin, it’s necessary to verify your identity. The verification process can be accessed via the Binance Account Center and involves uploading a valid government-issued ID or driver’s license. There are currently long delays in Binance verification, with wait times of up to one week. Now your account is active and ready to use, you’ll need to fund it in order to begin. Binance doesn’t support fiat currencies, which means you’ll need to fund it directly with cryptocurrency. It’s possible to fund your Binance account with a diverse range of different cryptos, but most users generally use either Bitcoin or Ethereum. To fund your account, click “Funds” on the top menu bar and navigate to “Deposits / Withdrawals”. You’ll be presented with a list of the cryptocurrencies that Binance supports. Clicking any of these currencies will provide you with the relevant wallet address, to which you can then transfer cryptocurrency. Trading on Binance is relatively simple and functions in the same manner as most cryptocurrency exchanges. In this example, we’ll use the Basic trading view and use BTC/AION as a trading pair example. There are many options and features presented with even the basic trading view— it’s possible to select a trading pair via the top right panel and view performance history via the central chart, as well as view your open orders and trading history at the bottom of the interface. You’ll notice that the left-hand panel will now populate with the prices at which other traders are willing to trade at. The top half of this panel lists sell prices in red, while the bottom half lists buy prices in green. Understanding how to place a buy order is the last step in learning how to buy on Binance. The order box is directly beneath the central chart in the trading view screen and offers both buy and sell options. It’s possible to use this panel to manually enter a price you’d like to buy, but it’s generally easier to select a sell price in the left-hand panel. You can then enter the amount of currency you wish to purchase at this rate or use the 25%, 50%, 75% or 100% buttons that immediately fills the order amount drawn from your available buying currency— in this example, it’s Bitcoin. Once you’re satisfied with your order, click the green “Buy” button at the bottom of the order box. Your order can then be viewed in the “Open Orders” section below until it is filled. Once your order has been filled, you’ll find the cryptocurrency you purchased under the “Deposits / Withdrawals” section of the “Funds” interface you used to fund your account. It’s best to withdraw this cryptocurrency to a more secure wallet solution if you’re not planning on trading it in the near future. 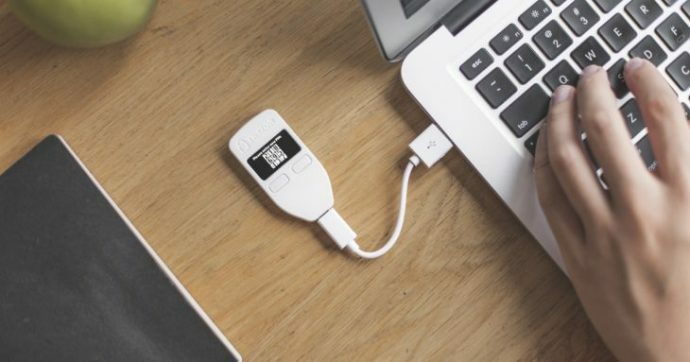 Hardware wallets such as the Trezor or the Ledger Nano S are cost-effective and simple solutions that keep your cryptocurrency secure when you are not trading. Binance is arguably the most user-friendly exchange online today and offers extremely competitive fees. While Binance doesn’t support fiat currency, it offers great customer support, a vast range of different altcoins, and high liquidity. Click here to get started with Binance now. Binance has quite rightly become one of the top exchanges and recently overtaking the likes of Bittrex. 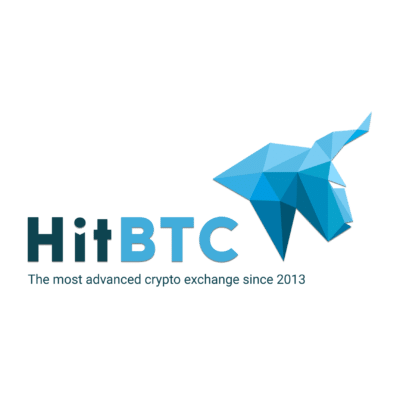 They boast a feature rich interface and a huge amount of different currencies to trade, making this our number one choice for trading altcoins. Next article What exactly is blockchain and how does it work?